CANTON, Mass. (November 30, 2016) — Baskin-Robbins today announced a festive lineup of frozen treats that is sure to make every ice cream lover jolly this holiday season. Baskin-Robbins is offering guests a new Ganache Poinsettia Cake, which is an elegant and decadent ganache cake topped with a wreath of Winter OREO® Cookie pieces and an icing poinsettia. 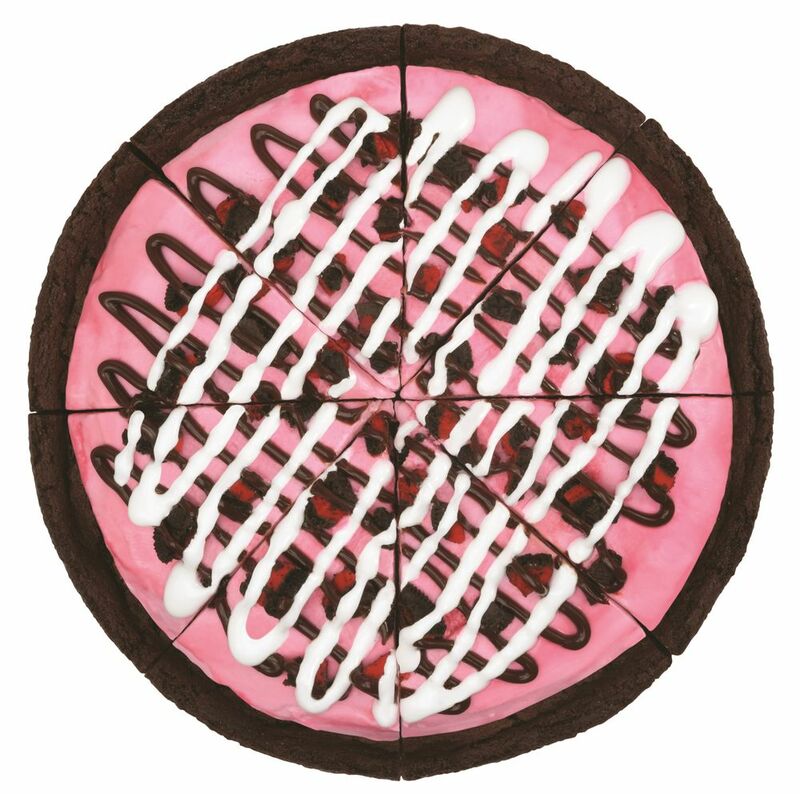 Baskin-Robbins is also expanding its Polar Pizza™ Ice Cream Treat lineup for a limited time with the addition of its Peppermint & Winter OREO® Cookies Polar Pizza, which features a double fudge brownie crust with Peppermint ice cream, topped with Winter OREO® Cookie pieces and drizzled with marshmallow and fudge toppings. Both of these desserts can be pre-ordered online or in-store. 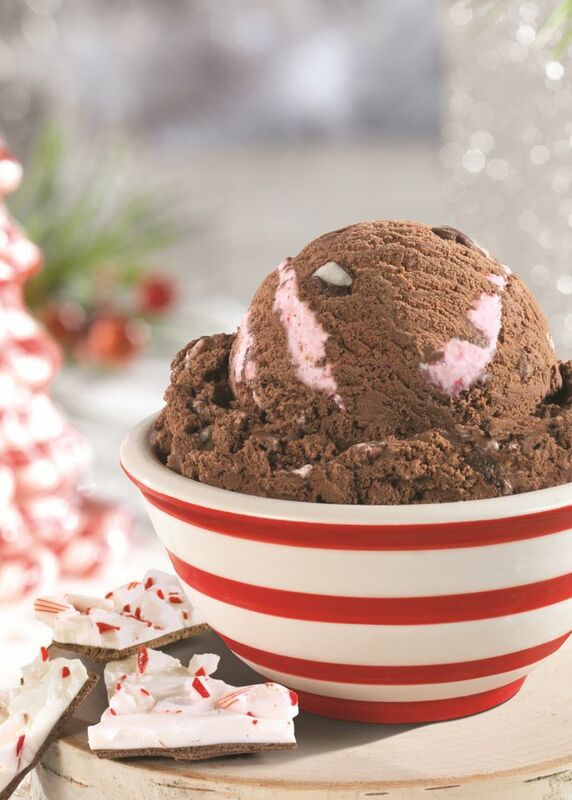 Baskin-Robbins is also bringing back Peppermint Bark in The Dark as its December Flavor of the Month. 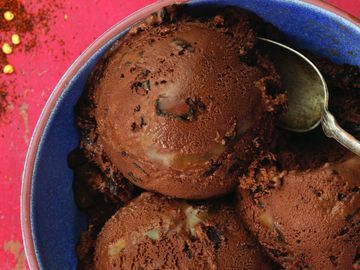 Baskin-Robbins “minted” this winter favorite by combining creamy chocolate ice cream and crunchy peppermint bark for a deliciously refreshing blast. Guests can enjoy Peppermint Bark in the Dark by the scoop, in a cup or cone, in a Warm Brownie Sundae or Warm Cookie Sundae to warm up during the cold winter months, or experience an added burst of cool with Peppermint Bark in The Dark Milkshakes and Cappuccino Blasts® beverages. 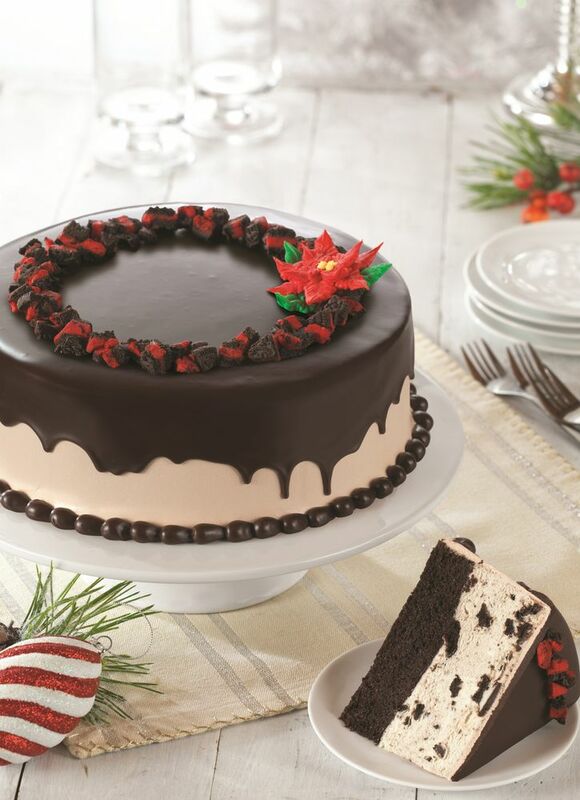 Baskin-Robbins also invites guests to complement any of its holiday cakes with pre-packed quarts of ice cream or treat friends and family to a Baskin-Robbins gift card, which makes for a great stocking stuffer. Baskin-Robbins gift cards can be purchased in-store or through the Baskin-Robbins Mobile App available for iPhone and Android. * Offer valid on December 31st. Participation may vary. Scoop offer good on every size scoop. 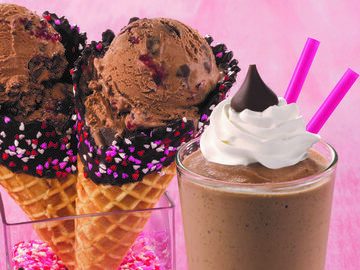 All listed flavors are optional amongst Baskin-Robbins’ stores. Waffle cones and toppings are extra. Cannot be combined with other offers. Plus applicable tax. 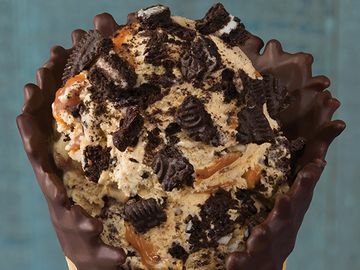 Named the top ice cream and frozen dessert franchise in the United States by Entrepreneur magazine's 37th annual Franchise 500(r) ranking in 2016, Baskin-Robbins is the world's largest chain of ice cream specialty shops. 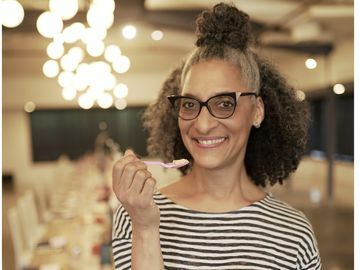 Baskin-Robbins creates and markets innovative, premium hard scoop ice cream and soft serve, custom ice cream cakes and a full range of beverages, providing quality and value to consumers at more than 7,700 retail shops in nearly 50 countries. 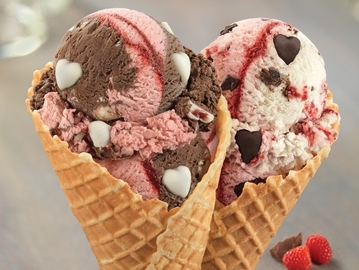 Baskin-Robbins was founded in 1945 by two ice cream enthusiasts whose passion led to the creation of more than 1,300 ice cream flavors and a wide variety of delicious treats. Headquartered in Canton, Mass., Baskin-Robbins is part of the Dunkin' Brands Group, Inc. (Nasdaq: DNKN) family of companies. For further information, visit www.BaskinRobbins.com.